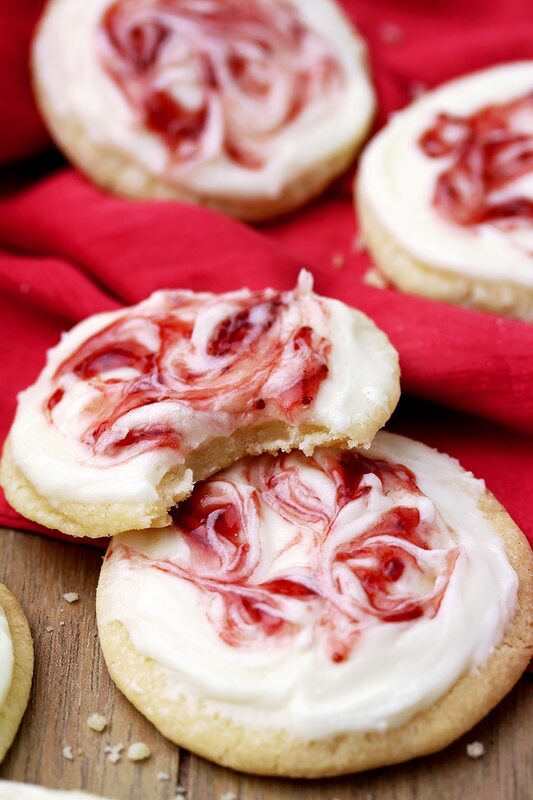 These Strawberry Cream Cheese Meltaway Cookies topped with cream cheese frosting and swirled with strawberry jam, simply melts in your mouth. Meltaway Cookies are so easy to prepare, yet very tasty and sweet… this is one of my favorite cookie recipes. 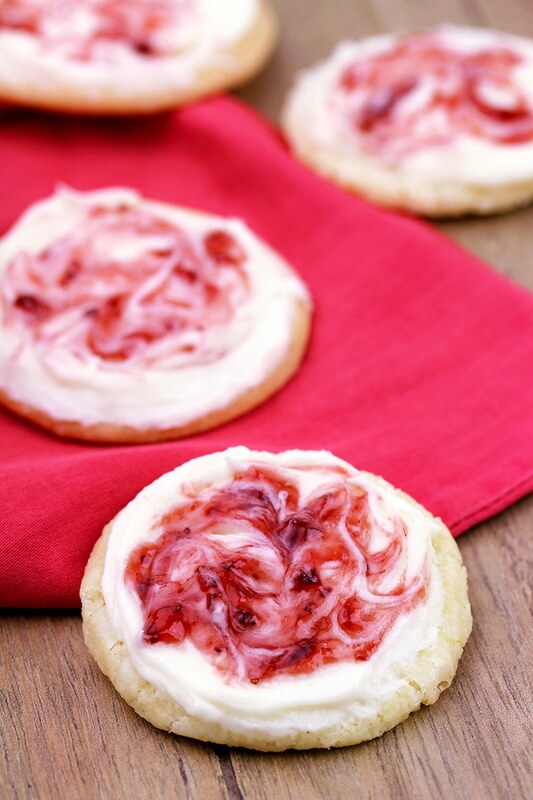 Strawberry Cream Cheese Meltaway Cookies are perfect for special occasions like Valentine´s Day. They can be prepared for Christmas, too and I´m sure they´ll become your favorite. I like to prepare them when I wish for something sweet or for strawberry dessert, out of season. Instead of strawberry, you can choose some other kind of jam. Or, why don´t you make them in different flavors? Have you ever tried melt away cookies? 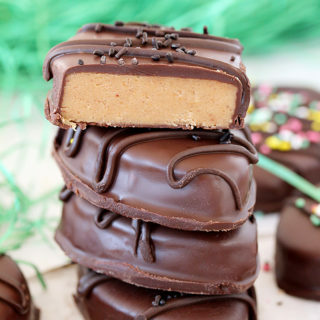 You definitely should, because they are so easy to make and their taste is divine. There are so many different recipes and flavors, but my favorite is Strawberry Cream Cheese Meltaway Cookies. 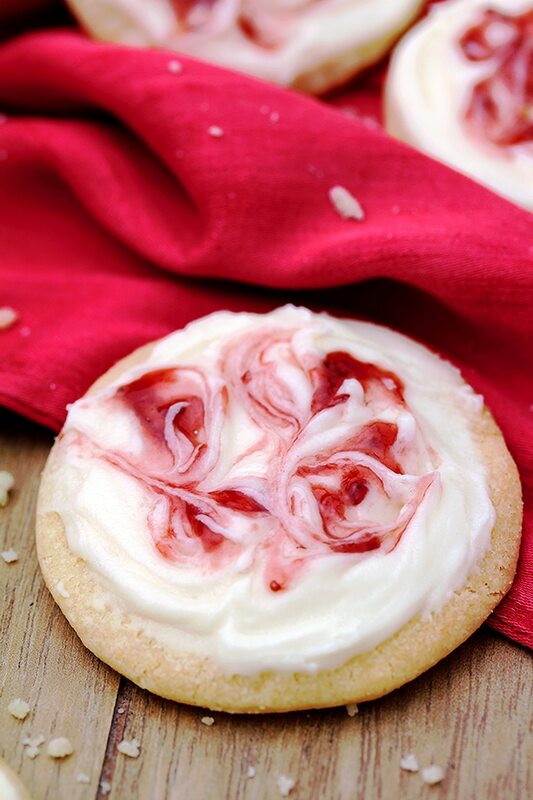 What do you need to make Strawberry Cream Cheese Meltaway Cookies? How to prepare Strawberry Cream Cheese Meltaway Cookies? Combine flour, cornstarch and salt. Set aside. Beat butter, powdered sugar and vanilla until light and fluffy. Add dry ingredients and beat at low speed. The dough will be crumbly, so knead it with your hands to make a ball. 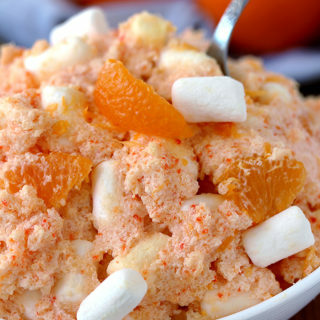 Cool it in the fridge for 15-20 min. Preheat the oven to 350 F. Line 2 baking sheets with parchment paper. Take the dough out of the fridge and roll it to 0.2 inch thick. Cut the dough using cookie cutter and place it on the baking sheet, 1 .5 inch apart. Bake for 9-10 min or until the cookies become brown at the bottom. Take out of the oven and leave to cool, in the baking sheet, for couple of minutes, and then transfer to a wire rack to cool completely, before putting cream cheese frosting. Prepare the frosting, meanwhile. Beat cream cheese, butter and vanilla until smooth. Spread the frosting over the cooled cookies. Put jam in a piping bag and cut its top off. Pour few drops of jam over the topping and swirl using a toothpick. Cookie fans check out our most popular recipe on the blog Chocolate Chip Cheesecake Cookies, Valentine‘s Maraschino Cherry Shortbread Cookies and Christmas Sugar Cookies with Cream Cheese Frosting. 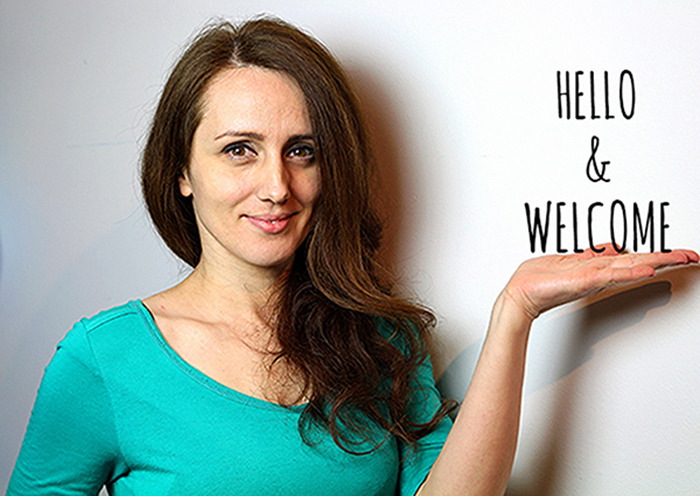 For more new ideas, check our COOKIES page. 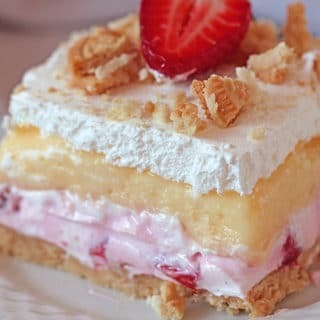 If you like strawberries, these are recipes for you Fresh Strawberry Cream Cheese Cake, No Bake Strawberry Cheesecake and Strawberry Pineapple Fluff Salad. Anyway, make sure to try Strawberry Cream Cheese Melt away Cookies. They will be loved by the whole family. 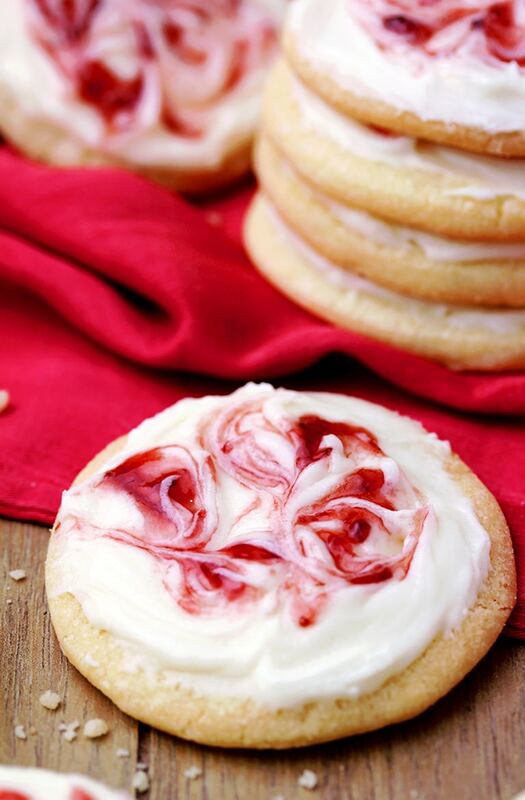 So, get busy and prepare Strawberry Cream Cheese Melt away Cookies, to make you and your loved ones happy. Have fun! 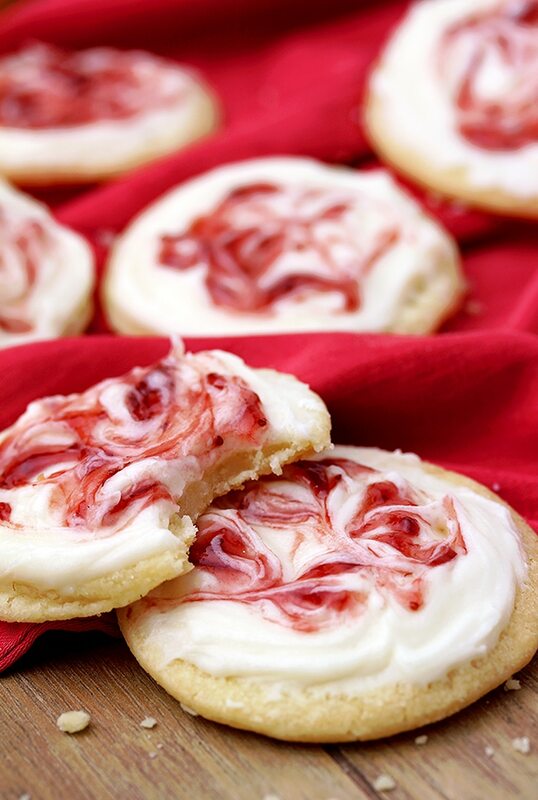 These Strawberry Cream Cheese Meltaway Cookies topped with cream cheese frosting and swirled with strawberry jam, simply melts in your mouth. TO MAKE THE COOKIES – In a medium dish combine flour, cornstarch and salt. Set aside. In a large dish beat butter, powdered sugar and vanilla, at medium speed, until light and fluffy. Change the speed to low and add dry ingredients. Beat until well combined. The dough will be crumbly, so knead it with your hands to make a ball. Cover it with plastic foliage. Cool the dough in the fridge for 15-20 min. Preheat the oven to 350 F. Line two baking sheets with parchment paper. Take the dough out of the fridge and roll it to 0.2 inch thick. Cut the dough using cookie cutter and place it on the baking sheet, 1 .5 inch apart. I used a 2.4 inch cookie cutter. Bake for 9-10 minor until the cookies become brown at the bottom. Take out of the oven and leave in the baking sheet for couple of minutes, then transfer to a wire rack, to cool completely before putting cream cheese frosting. Prepare the frosting, meanwhile. TO MAKE CREAM CHEESE FROSTING - beat cream cheese, butter and vanilla, at medium speed, until smooth. Spread the frosting evenly over the cooled cookies. Put jam in a piping bag and cut the top off. 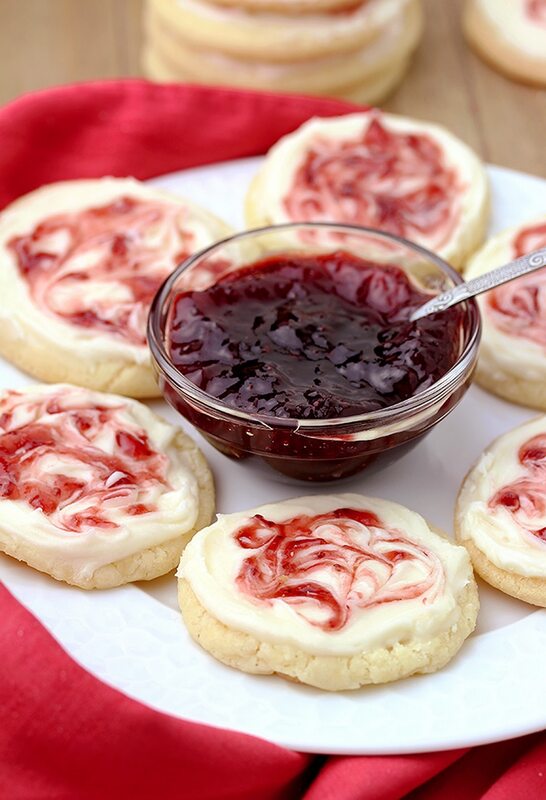 Pour few drops of jam over each cookies and swirl with a toothpick.